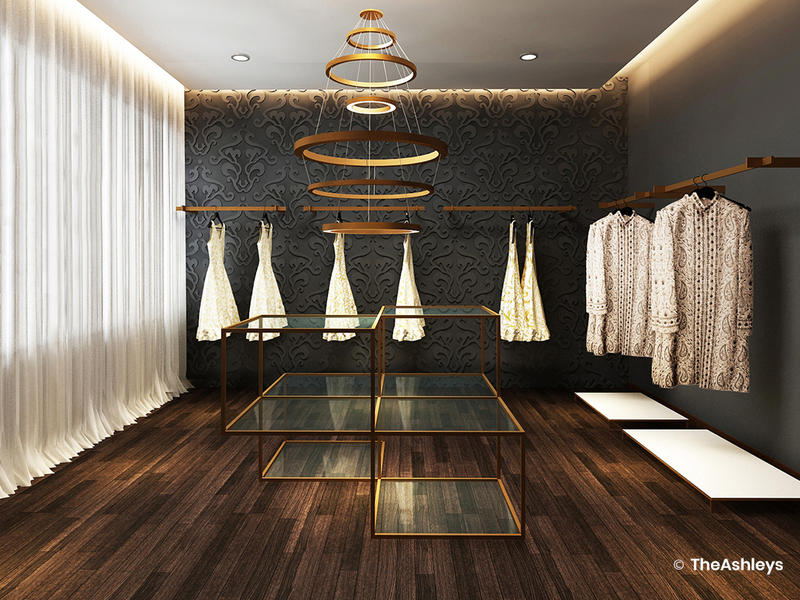 As retail interior designers for this project, our aim was to cater to the premium Indian gentleman. 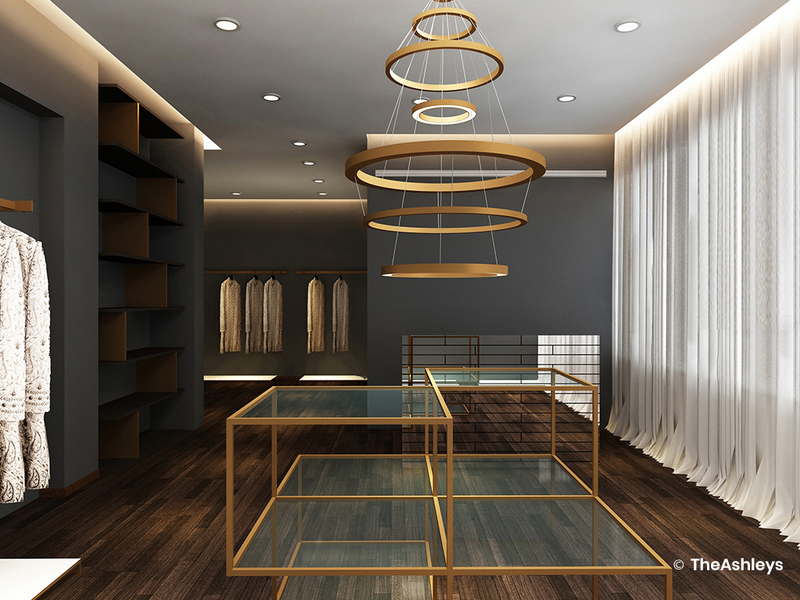 A display area with stylish lighting and understated luxury was placed at the front of the boutique, with a private lounge area behind for exclusive customers. The product line consists of finely hand-embroidered designer wear for men, each piece being a triumph of Indian craftsmanship. As contemporary ultra luxury designers, we envisioned the walls in deep neutrals to draw attention to the artistry of the product, and to accentuate the colours and detailing of the garments. A subtle use of Indian geometrical motifs on one wall adds a pleasing ethnic touch, while the rest of the décor is international and modern. 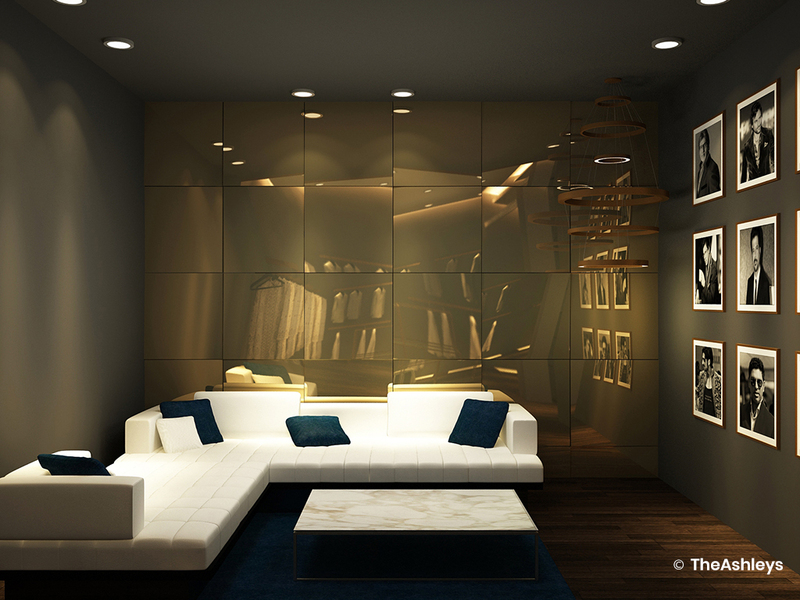 Inside the lounge area, a platinum finished metal grid on one wall and portraits of stylish male celebrities adds an aspirational touch to the retail experience.